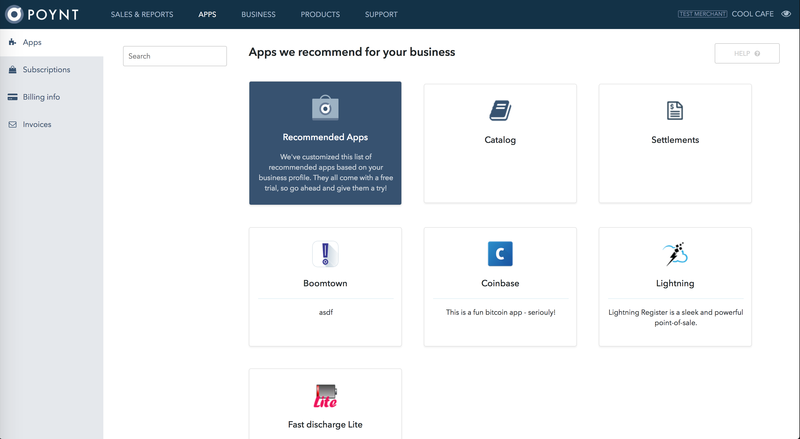 On Poynt HQ, Merchants are able to discover new apps to superpower their business. On the Poynt Apps landing page, you can search for and select an app that you’d like to learn more about. Note: If you don't see the Apps tab, please reach out to your Reseller Organization to enable Poynt Apps. 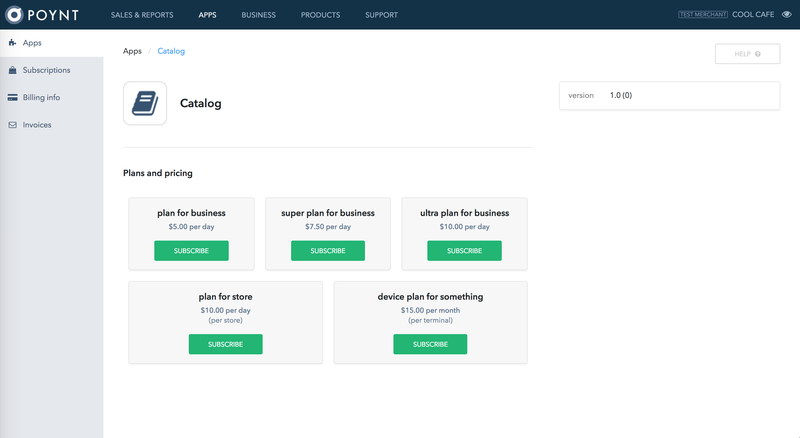 Step 1: Once an app has been selected, the Plans and Pricing provided will be displayed. The merchant will simply select the plan that they’d like to subscribe to. 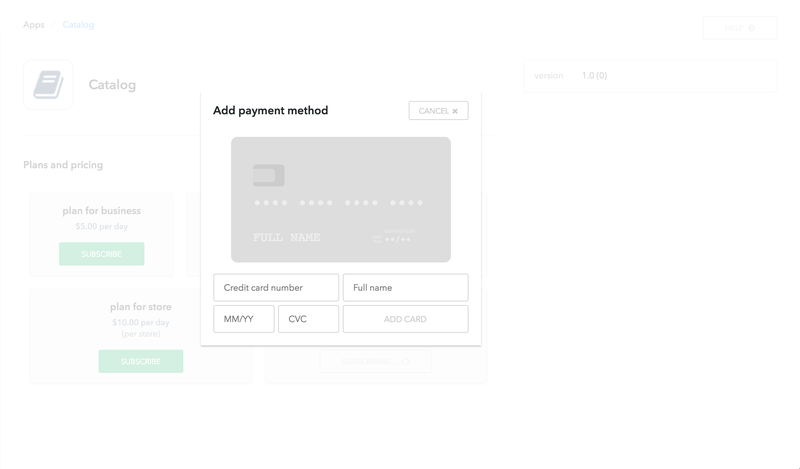 Step 2: Then, in the add payment method, simply enter the card information. When the merchant has complete filling out their info, select “Add Card”. 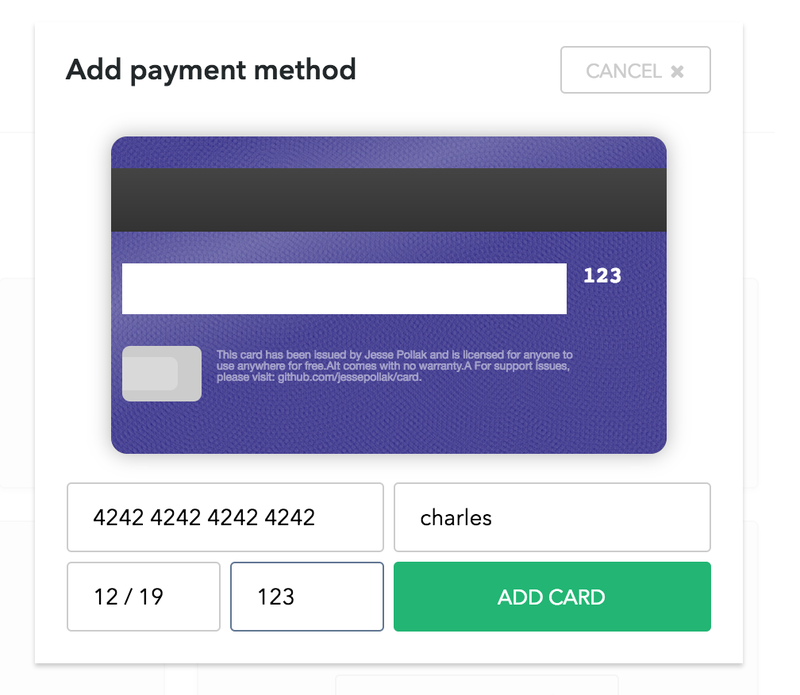 Step 3: Once a card has been added, the merchant will select the terminals they’d like to download this app on. This will be indicated by a green checkmark in the top right corner. By selecting the green “Subscribe” button, they have completed the download. 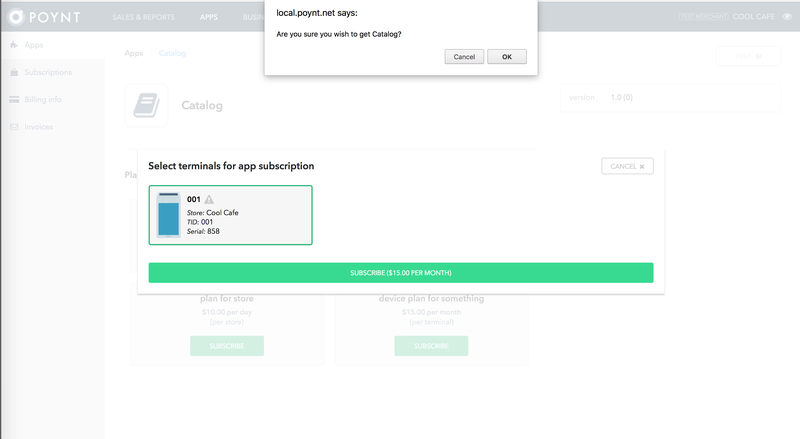 On the Subscriptions tab under Apps, the merchant may view their App Subscriptions. 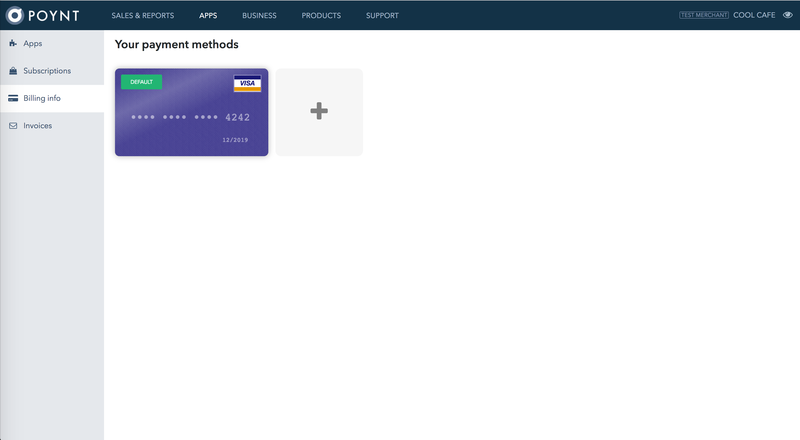 Merchants may also download their apps they’ve already subscribed to on another terminal from this page. Simply select “Download” under “Your Terminals”. 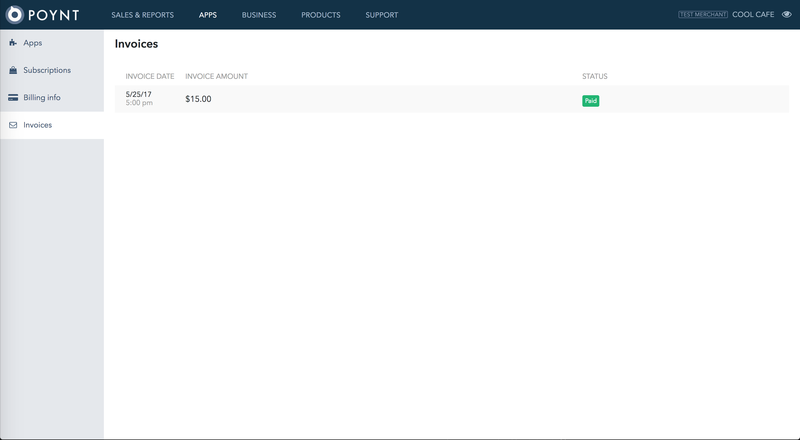 On the Billing tab under Apps, the merchant may add payment methods for Poynt Apps. 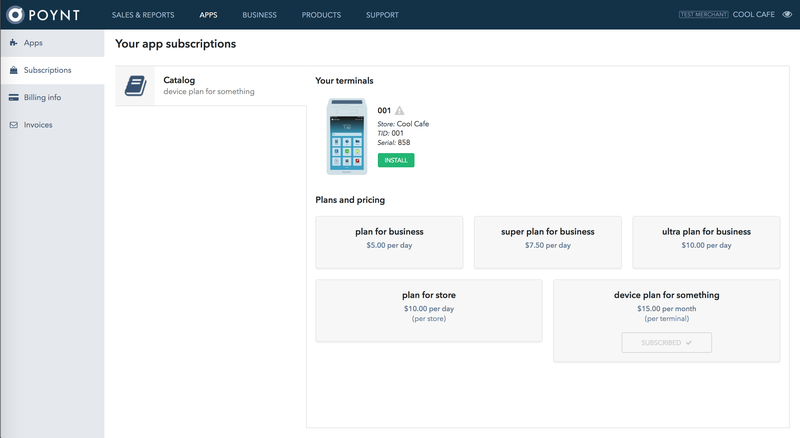 On the Invoices tab under Apps, the merchant can view the monthly payments they’ve made for each of the apps they subscribe to.